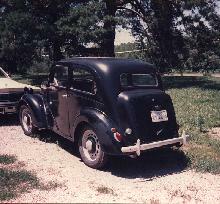 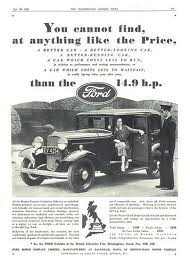 The 10hp Ford 7W was the first Ford car to be wholly designed and developed in Britain. 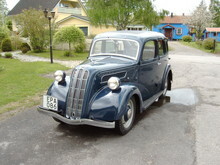 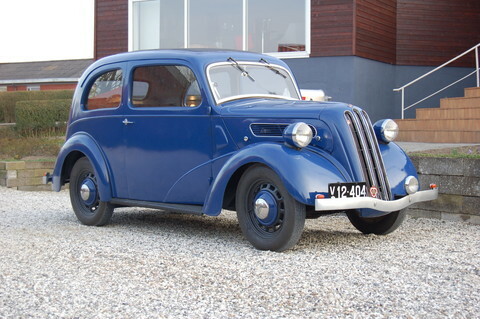 Introduced in March 1937, it is recognisable by its 3 slatted radiator grille and longer wheelbase. 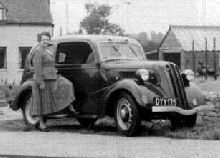 Technically more advanced than the earlier Model CX it replaced, it included "easiclean" wheels and fully compensated Girling brakes.The bodyshell was completely new and it allowed the occupants to be comfortably installed within the extended wheelbase with generous leg room. 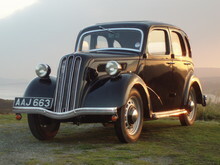 The 7W was supplied in 2 door and 4 door form, both deluxe specification with the option of a fixed or sliding roof. 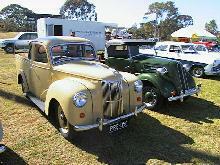 Total Production amounted to 29,686 cars and 1639 tourers. 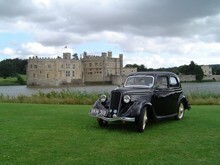 It was superceded by the Prefect E93A in October 1938.